The next step of the "gay marriage" agenda is about to begin here in Massachusetts. It's the push to use the legal system to force religious organizations to include homosexuality and transgenderism. 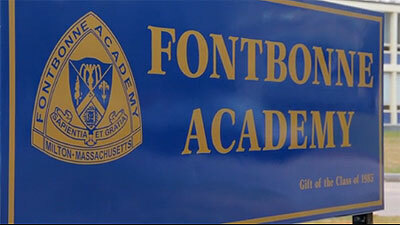 Fontbonne Academy in Milton, MA, a Catholic girls' high school, is under attack by the homosexual movement. Across the country whenever a "gay marriage" battle heats up pro-family people are always told, "It's all about civil rights. It won't affect your religious institutions." And the politicians and judges believe them. That's about to change. This week the powerful Boston homosexual legal group,Gay and Lesbian Advocates and Defenders (GLAD) filed a complaint with theMassachusetts Commission against Discrimination (MCAD) against a Catholic girls prep school because the school declined to hire a man because he is "married" to another man.